Tags: Let's Talk: A Community Discussion Sat Nov.17th 2018 @ 1PM @Boys & Girls Club 233 Warren Ave Brockton,Massachusetts All are Invited!! 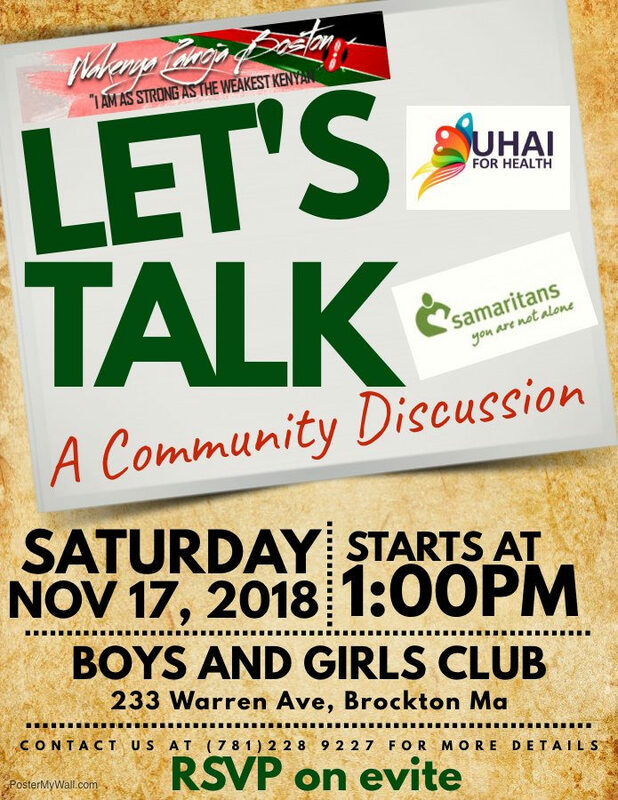 Let’s Talk: A Community Discussion Sat Nov.17th 2018 @ 1PM @Boys & Girls Club 233 Warren Ave Brockton,Massachusetts Reviewed by samrack on November 12, 2018 . Let’s Talk: A Community Discussion Sat Nov.17th 2018 @ 1PM @Boys & Girls Club 233 Warren Ave Brockton,Massachusetts All are Invited!